This great advice was posted to gardening forum I belong to. The post was from Angi De Jesus from Southlake, TX. She and her husband Jose own and operate De Jesús Family Farm & Nursery there. They are Master Gardeners, seed savers and canners. Jose is a French trained pastry chef and chocolatier. Angi works in real estate. They hope their plant business will be able to fund a benevolence ministry to meet the needs of those that fall through the cracks of today's economy. "Jules Wenke and her mother were prize winning rose growers from East Texas; Tyler, I believe. They were local celebrities winning prizes at the county and state fair, Texas Country Reporter and a weekly tidbit on a local news show and PBS. They always sprayed milk on their roses when the aphids began to appear. In a pinch powdered milk mixed with water in a spray bottle works well too. 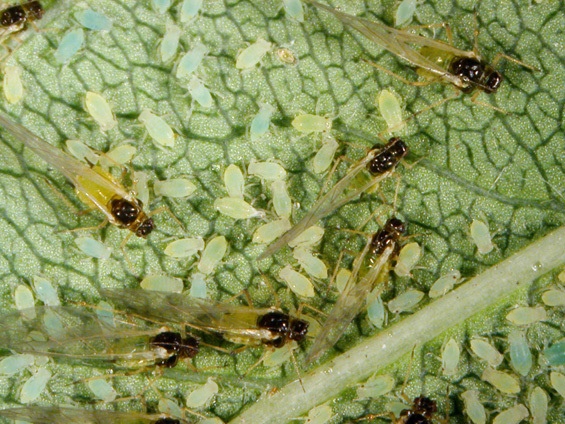 It seems that enzymes in the whey proteins are highly toxic to aphids. I keep a large bag of powered milk around for this case as well. If I see a problem, and we have no milk on hand, then I put a cup of powered milk in the 20 gallon sprayer attachment and hand Mr. Jose a cup of coffee and direct him to his mission. Works every time! I also make a practice of "cleaning" plants and cuttings that we introduce from outside sources. I give them a bit of wash using a mixture of 1/2 cup baby shampoo, 1/2 cup mint Listereine (or other oral disinfectant-not mouthwash like Scope) in a 32 ounce spray bottle topped off with water. I mist the plants or cuttings….sometimes giving them a bit of a wipe down if I see a problem. This is a trick I learned from the late Jerry Baker. I just love his books and have yet to find one of his Granny's home remedies that did not work." I wish I had a Jose around my little business! Bill has a "Honey Do" list a mile long but he is not very good in the garden. He would probably spray that milk every where but where it needed to be!